What are the dimensions of the unit? 9X9"? How deep 3 1/8 or 4"? Are there openings on the side to slide in cables? I have not been disappointed with anything monoprice has sold me until this. These are so cheap that they flex all over and it you tried to use them on new construction the drywallers would never be able to cut them out and they would sit crooked in the wall. Nice design. Good value, fast delivery great service. I only gave it 9 stars because I think the product should be less costly. Awesome value, fast delivery great service. What else can you ask! 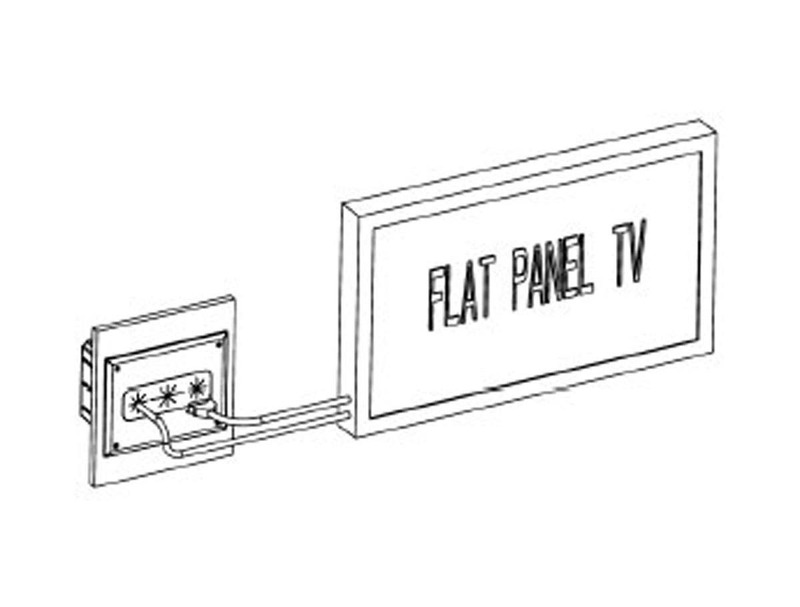 After looking around at several options to run my tv cables I'm glad I stumbled across this. Easy to install. With plenty of room for my cables to come into and out of the media box. Keeps everything looking clean against the wall. A good find. Well designed, good quality materials. Even "gaskets" to stick on to keep air from entering through the box where the insulation wa removed. PROS: Worked easily. The tabs helped because we were not next to a stud. I purchased a flat screen TV and mounted it on the wall and wanted to run the cables inside the wall. 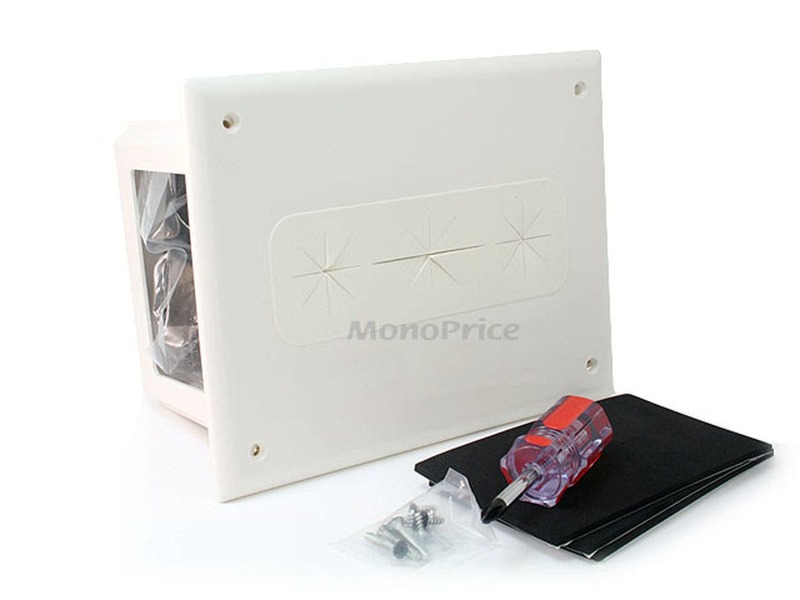 I checked several sources before buying two recessed media boxes and found that monoprice.com by far had the best prices. I am pleased with the boxes and the service I received. Oh Boy! This thing took care of a monster problem. I now have a widescreen hanging on the wall with no evidence of electronic boxes and unsightly tangles of wire. The installation was simple even for a mechanically challenged person like me. Just follow the directions, quick and simple. It is large compaired to other options so it holds much more excess cable that is easy to access if needed. I read the reviews and was concerned about the issue from those who claimed the box is fragile and screws were a problem! I encountered no such problem. I have another similar installation pending and will definately be using this unit. Great product! Thanks MONOPRICE! I was a little skeptical about purchasing this product because may reviers stated that the box was really flimsy.. which it was, but I really like the design. Just placed it on a stud and it worked like a charm. I liked how everything ( screws, etc.) was provided. Its a rare exception at monoprice but this is a very poorly designed product. 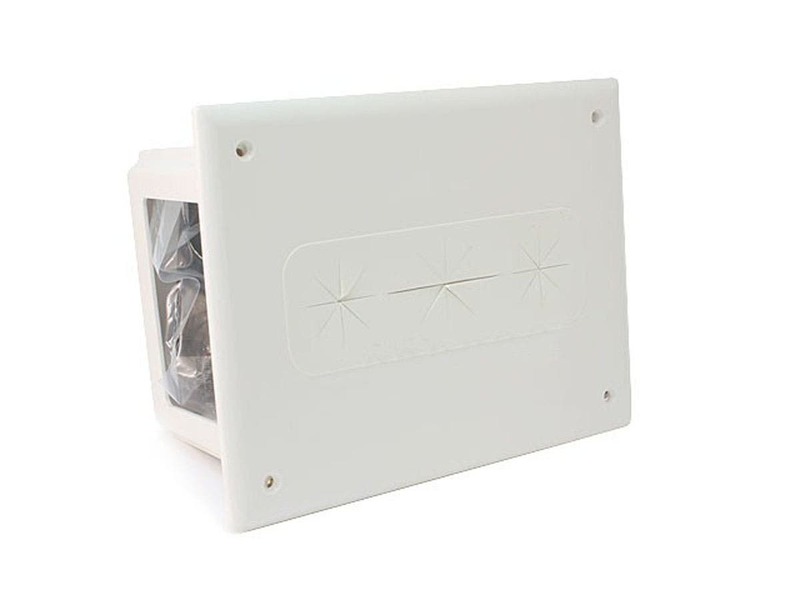 I tried using this box first but then threw it away and got Leviton Recessed Entertainment Connectivity Box from home depot. Its flimsy and does not hold its shape very well. I expected the box to be about as rigid as the remodel boxes you buy at your local store but this one twists and bends easily. When screwing in the wall plates it almost feels like the box will break. The cutouts are not the right size for standard remodel junction box. They are bigger so the j-box will not fit snugly and move around every time you plug in something. The tabs that extend into the cutout are longer too. Even the monoprice hdmi plates did not fit in without cutting and filing a little bit of the tab. The markers for making a wall cutout are inaccurate. The tabs that hold the box to the drywall, extend beyond the cutout that you will make. It will then require you to make a slightly bigger cutout.